I decided to dip my hand into this tight aperture (f-22 to f-36) on a mirror game, literally. Hard to take a picture of your own hand… Lesson = learned. Next time I am going to spin that dradle, I bet it would make for a pretty awesome shot. Learned how to double my money in a flash! 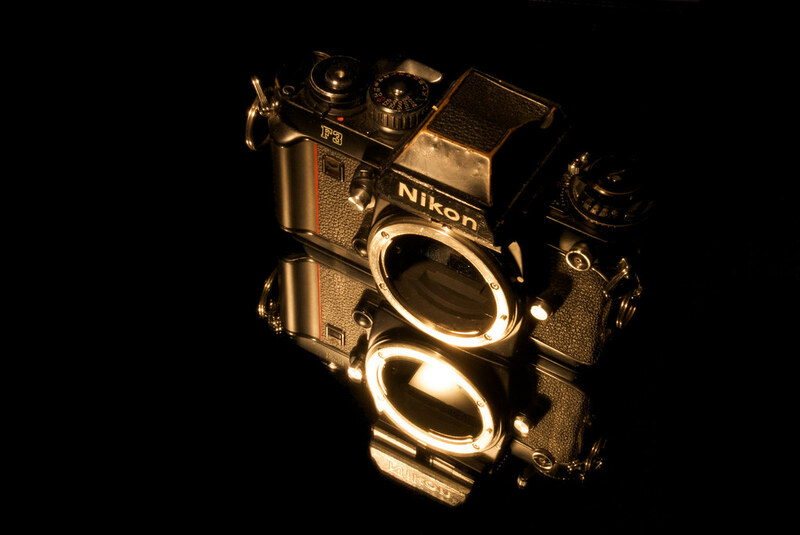 My prized Nikon F3. I never use it, but I do prize it. Click for a larger version. I didn’t have any food coloring and corn syrup to make fake blood so I just tried some of that wine. No go. Just couldn’t get that blood look. So here’s the pic sans faux blood. Funny story, after putting all of this stuff up, i accidentally cut myself and bled all over the mirror haha, damn the timing.